Announcing Our New Category 5 80° CV Joint - Weasler Engineering, Inc.Weasler Engineering, Inc.
A farmer’s day can be long and hard, with no extra time or resources for equipment troubles or downtime. That’s why leading agricultural equipment OEMs look to Weasler Engineering for reliable and innovative drivelines and components. We understand the rigorous demands of a day on a farm and engineer our products — and everything that goes into them — to stand-up to the harshest of elements. It’s all in the joints. Some drivelines feature constant-velocity (CV) joints. This integral component makes it possible for a driveline to transmit power throughout changing angles, at a constant rotational speed, and without realizing a significant increase in friction or play. 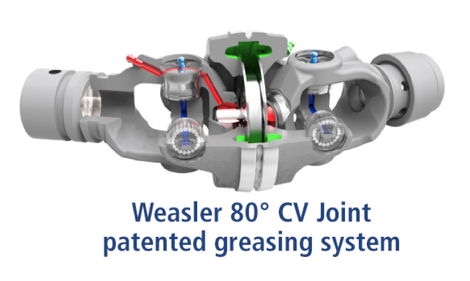 All CV joints have a central ball and socket, so both sides of the joint move at the same time, and the joint allows greater turn angles without excessive vibration. At Weasler Engineering, we take the CV joint to a superior level, both in the range of options we offer and in our smart, innovative engineering. Design versatility – Our new 80° CV joint has a unique spherical ball and socket design on each yoke — along with a patented retaining ring. This innovative design results in a more compact joint with spherical instead of line contact for reduced wear and tear, and longer life. Improved maintenance – The grease fittings are located in a straight line, making them easy to locate and access to allow proper maintenance and reduced maintenance time. Better performance – Unlike others in the industry, Weasler’s new CV joint uses the same cross and bearing kit throughout the design. All arms of the kit are equal, which provides additional strength and stability, along with better serviceability and reliability. 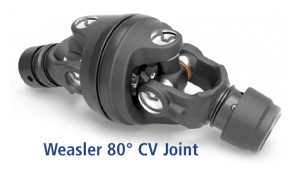 Longer life – The Weasler Category 5 80° CV joint features a floating plate on each side of the center plate to help eliminate the potential for gaps at higher angles. The plates help ensure smooth operation through joint articulation and make sure that grease stays inside and dirt stays outside for the longest possible component life. Weasler Engineering’s Cat 5 80° CV joint is in production and ready to order. 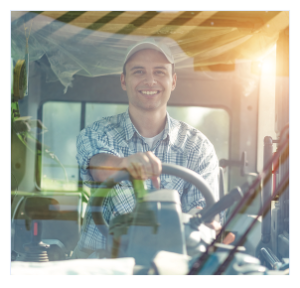 To learn more about it or any of our driveline systems and components, contact us now.